Part of the exciting new Atom Concept, this feature packed rucksack is the basis for all your roving needs. A sturdy well thought out rucksack makes swim hopping a tireless task. 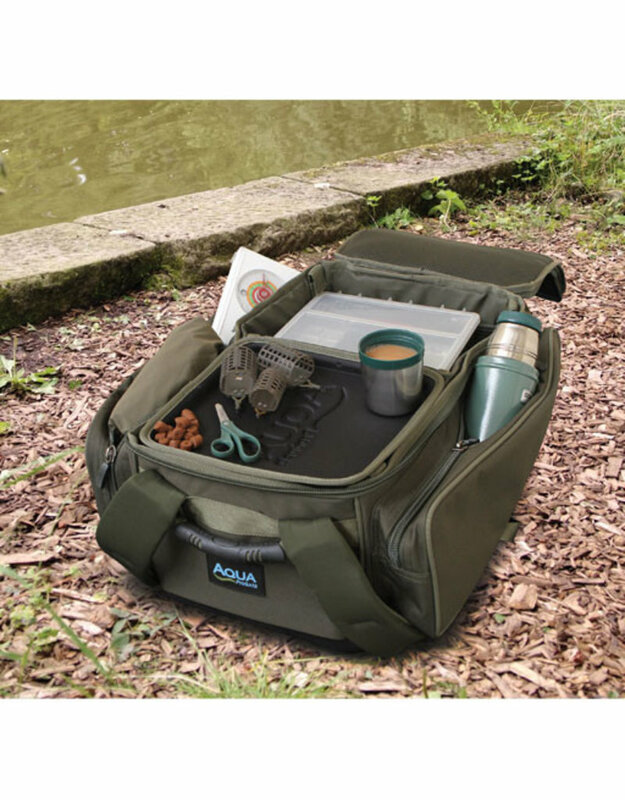 Multiple pockets adorn the internal walls, a large central divider with built in rig table add a level of luxury usually only found within the confines of a bivvy. Hard wearing rigid moulded EVA base and a 3 point harness system make load lugging a comfortable pastime. This rucksack has in built straps that will accommodate either an Atom or Roving unhooking mat while the slim profile keeps the centre of gravity close to the body for a more comfortable carry.